SPAIN’S ruling Popular Party (PP) has been embarrassed after a former treasurer was handed a 33 year jail sentence. Luis Barcenas, who previously worked closely with Prime Minister Mariano Rajoy, was found guilty of fraud, accepting bribes and money laundering and fined €44 million in addition to his prison term. And the party itself must pay €240,000 after judges at the country’s highest criminal court ruled that it profited from an underhand kickbacks-for-contracts scheme. Dubbed the Gürtel case – after the German word for belt, correa in Spanish – the enquiry was focussed on businessman Francisco Correa, who was probed for paying bribes to party officials between 1999 and 2006 in order to win public contracts. Correa was sentenced to 51 years behind bars, while his close ally Pablo Crespo received 37 years and six months. 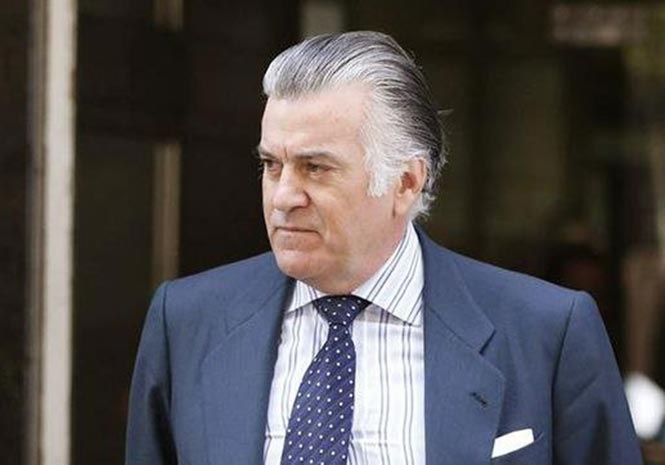 Barcenas’ wife Rosalia Iglesias will serve 15 years and Correa’s ex-wife, Carmen Rodriguez Quijano 14 years and eight months, for their roles in the corrupt network. Investigators believe that the jailing of Iglesias could trigger further confessions about the party’s internal finances from Barcenas. Rajoy last year became the first serving Spanish leader to testify in a criminal trial when he was called to give evidence after serving as the PP’s vice-secretary general at the time. He said his role did not include party finances and denied the existence of a slush fund used to pay illegal bonuses to senior officials. In a 1,687 page ruling, the court found 29 of 37 defendants guilty of crimes ranging from forgery and embezzlement to influence peddling. The anti-austerity Podemos party renewed its call for a vote of no-confidence in Rajoy in the wake of the sentences.